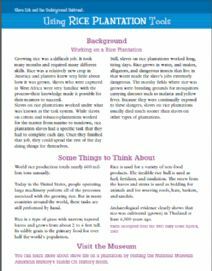 In this activity, students will analyze images of tools that were used on rice plantations to determine each tool's purpose. These objects can tell us a great deal about slavery and the lives of the slaves who worked on rice plantations. 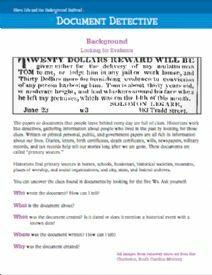 It is included in an OurStory module entitled Slave Life and the Underground Railroad. OurStory is a series of modules designed by the Smithsonian's National Museum of American History to help children and adults enjoy exploring history together through the use of objects from the Museum's vast collections, quality children's literature, and engaging hands-on activities. 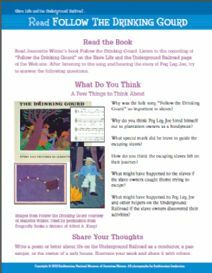 Ideal for afterschool use, OurStory resources allow students to think critically, to be creative, and to achieve academic standards both in and out of the classroom.